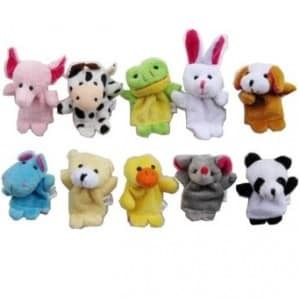 Click here to visit the Amazon site and you’ll be able to score a 10 piece Velvet Animal Style Finger Puppets Set for $3.07 (regularly $19.99). They’re also offering free shipping for everyone. Each set includes one elephant, rabbit, bear, cow, mouse, panda, frog, duck, koala, and dog. *Keep in mind Amazon prices can change, especially on deals, so make sure its still $3.07 before you add it to your cart.